December 9th, 2013 - Larry Shaw Race Cars customer, Russell Allen enjoyed a great season as he claimed the Cocopah Speedway (Yuma, AZ)Track Championship and also was crowned the Arizona Winter Series Champion. December 2nd, 2013 - Cold weather isn't slowing down Larry Shaw Race Cars customers late in the 2013 season. Congratulations to the following drivers on their victories. November 25th, 2013 - Larry Shaw Race Cars client, Austin Sanders, claimed his third track championship in the Open Wheel Modified division in the past four years at East Bay Raceway Park (Gibsonton, Florida) over the weekend in his #64 Larry Shaw entry. November 12th, 2013 - Congratulations to Larry Shaw Race Cars customer, JC Waller, who claimed the win in the Fall Nationals at Riverside International Speedway (West Memphis, Arkansas) on Saturday evening. 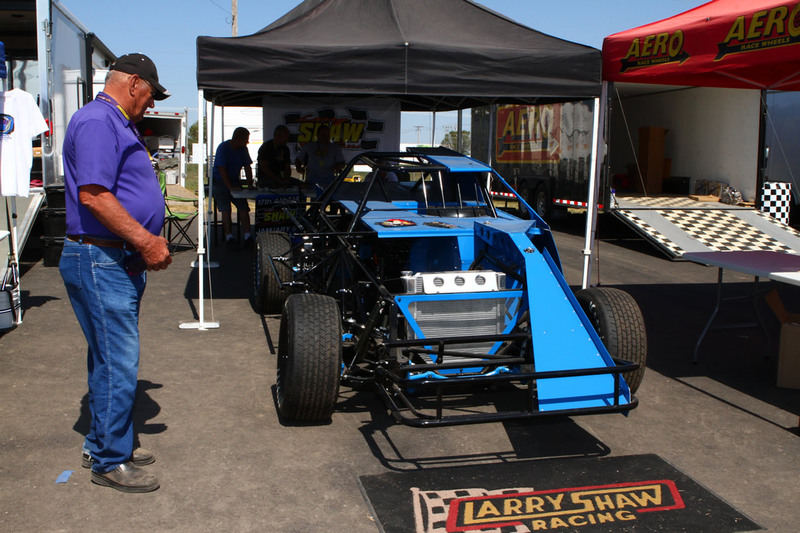 November 5th, 2013 - The Open Wheel Modified and Late Model sections have been updated with the newest pricing options for Larry Shaw Chassis. 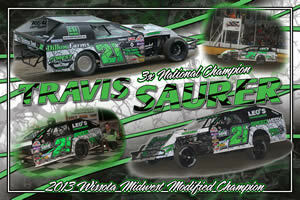 November 2nd, 2013 - Another month gone from the calendar and more wins and accomplishments from Larry Shaw Race Cars customers. October 28th, 2013 - Larry Shaw Race Cars customers took advantage of the last weekend of October to claim wins and championships across the country. Congratulations to the following competitors. October 15th, 2013 - It was another great weekend for Larry Shaw Race Cars drivers with more wins and more championships being added to the docket. October 14th, 2013 - Congratulations to Larry Shaw Race Cars driver, Josh Rice, for winning the Open Wheel Modified feature during the opening night of the 9th Annual Ironman Classic at Ponderosa Speedway (Junction City, Kentucky) on Friday, October 11th. October 9th, 2013 - Larry Shaw Race Cars would like to recognize Travis Saurer for winning the 2013 Wissota Midwest Modified National Champion & Minnesota State Champion. He was just one of several Larry Shaw competitors, who enjoyed a great year! Drivers make sure to Submit your achievements to be posted here on the website. October 7th, 2013 - Congratulations to more Larry Shaw Race Car drivers for winning more events. September 30th, 2013 - With the racing season winding down more accolades have been obtained by clients of Larry Shaw Race Cars including the following. 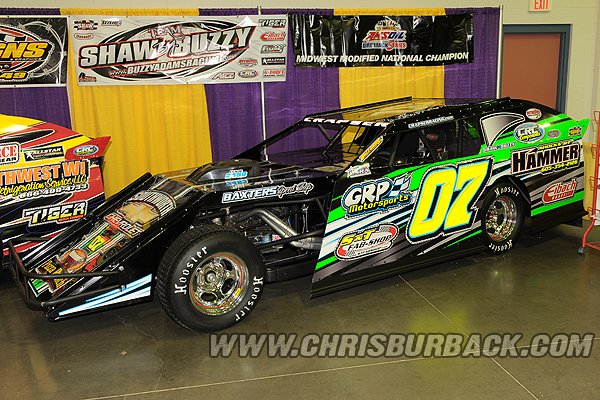 September 18th, 2013 - Last weekend Larry Shaw Race Cars participated in the trade show at the 31st Annual IMCA Super Nationals at Boone Speedway (Boone, Iowa) as shown to the right. Thanks to all of the great people, who came by to check out our latest technology and developments, and congratulations to all of the excellent accomplishments by our driver during the course of the week. Racers don't forget to Contact Us today to join our winning team. September 9th, 2013 - Congratulations to the following Larry Shaw Race Cars clients on their wins over the weekend including Dave Mass (pictured to the right), who claimed the Advantage RV Series Tour Championship. September 3rd, 2013 - Austin Sanders #64 Larry Shaw Open Wheel Modified won his 6th race of the year this past Saturday night at East Bay Raceway Park in just twelve starts. The picture to the right shows Austin getting a special hug in victory lane. The little boy is Austin's 4 year old son Gage, and these two are almost inseperable when Austin is home from work. 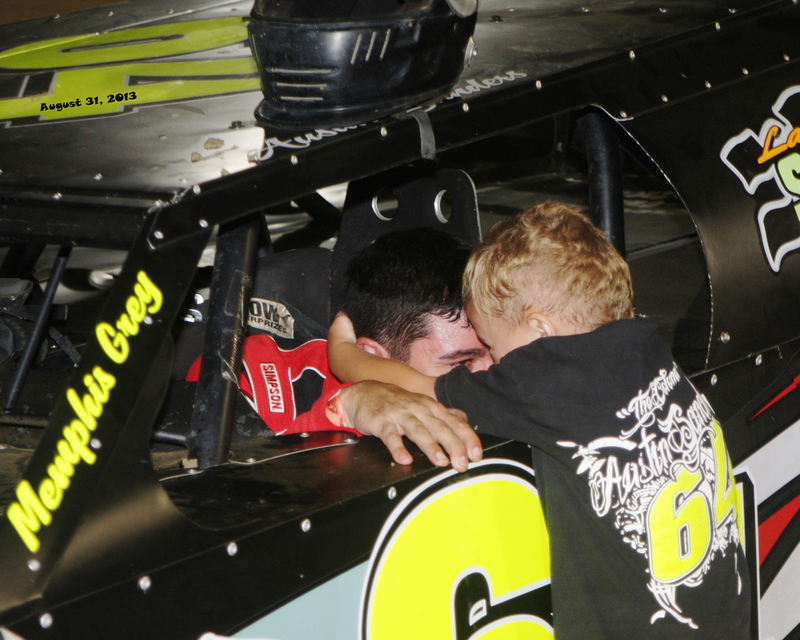 When Austin won on Saturday night Gage was there to congratulate him. In the winners circle Austin had just taken his helmet and seat belts when we got there. Gage went running to the car yelling "DADDY! ", and with his toes almost off the ground, Gage grabbed Austin's neck in a big hug. This is what our sport is all about and Larry Shaw Race Cars congratulates the team on their great year! September 2nd, 2013 - A busy Labor Day weekend saw several Larry Shaw Race Cars customers race their way into victory lane, while other drivers clinched championships. Congratulations to all of these great drivers. August 25th, 2013 - A warm, late summer weekend again produced wins from coast to coast for Larry Shaw Race Cars customers. July 26th, 2013 - Larry Shaw Race Cars customer, Cory Crapser, won the USRA Iron Man Challenge event at Fayette County Speedway (West Union, IA). 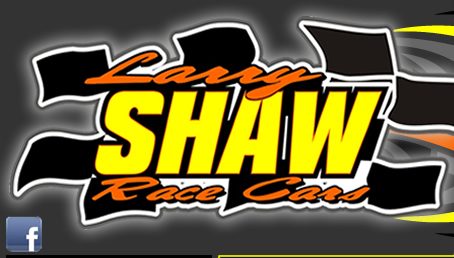 July 23rd, 2013 - Larry Shaw Race Cars is excited to announce the 17th Annual Race Wise Chassis School with Mark Bush and Kevin Shaw. The class will be held January 9th-11th, 2014 at Lyon College in Batesville, Arkansas. The host host hotel is the Ramada Inn in Batesville, AR, and can be reached at 870-698-2995. Holiday Inn Express and Comfort Suites also have availability. The cost for the class is $395 and includes 3 days and one night. Call 800-882-7727 or 870-251-2966 to get registered before the spots fill up! July 22nd, 2013 - The past two weeks have been an extremely successful time for Larry Shaw Race Cars customers with wins across the nation. July 13th, 2013 - Wins have already begun to be reported for the weekend by Larry Shaw Race Cars customers. July 8th, 2013 - Congratulations to the following Larry Shaw Race Cars clients, who claimed wins over the weekend! 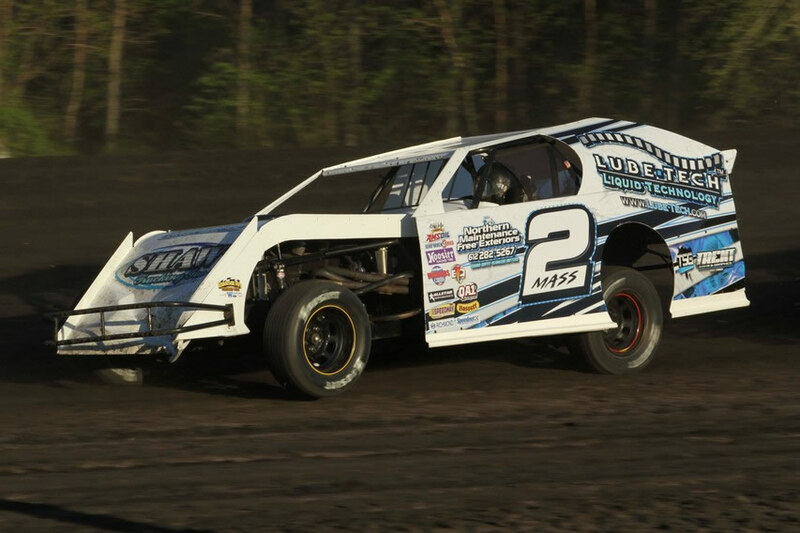 June 27th, 2013 - Larry Shaw Race Cars customer, Phil Braun, scored the feature win on Thursday night at KRA Speedway (Willmar, MN). June 17th, 2013 - The For Sale section has been updated with a 2005 F350 Diesel Truck that is loaded. June 16th, 2013 - Another week and more wins already being reported for Larry Shaw Race Cars customers. Congratulations to all of our great drivers on their accomplishments. June 12th, 2013 - Congratulations to Jeremy Double for out-witting the weather to claim the Open Wheel Modified feature win in his Larry Shaw Race Car on Wednesday night at Sharon Speedway (Sharon, Ohio). June 6th, 2013 - Larry Shaw Race Cars' customer, Cory Crapser, blazed to the feature win in the USRA Iron Man B-Mod division at Chateau Raceway (Lansing, Minnesota). 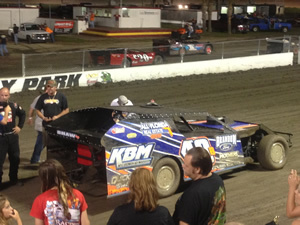 June 3rd, 2013 - Larry Shaw Race Cars' clients again found their victory lane across the country over the weekend. May 21st, 2013 - Larry Shaw Race Cars is having a Summer Merchandise Special, where if you order any three items you get free shipping! Visit the Merchandise section now to select your items! May 16th, 2013 - The Bargain Bin has been updated with special sales on Hyperco pull bar springs, rivits, and axles. Take advantage of this great pricing on these items! May 15th, 2013 - The For Sale section has been updated with a complete 2008 Larry Shaw Open Wheel Modified. Larry Shaw Race Cars would like to congratulate Kyle Bronson on claiming the convincing win in his debut in the brand-new Larry Shaw 35 Series Car on Saturday night at Volusia Speedway Park (De Leon Springs, Florida). April 18th, 2013 - The Merchandise section has been updated with the 2013 Larry Shaw Race Cars hats, which are just $12.95/each. April 15th, 2013 - It was another successful weekend for Larry Shaw Race Cars customers as track's begin to dig out of the snow and get their seasons underway. April 1st, 2013 - Despite another rainy weekend across much of the nation a handful of Larry Shaw Race Cars customers found their way into victory lane. March 26th, 2013 - The For Sale section has been updated with a 2010 Larry Shaw Race for sale. March 18th, 2013 - Congratulations to Larry Shaw Race Cars customer, Ricky Thornton Jr. for winning his first race in his brand-new, Larry Shaw Chassis on Saturday night at Arizona Speedway (Queen Creek, AZ). March 9th, 2013 - Austin Sanders powered his Larry Shaw Race Cars entry to the Open Wheel Modified feature win at East Bay Raceway Park (Gibsonton, Florida) on Saturday night. March 4th, 2013 - Larry Shaw Race Cars extends their condolences to the family of Don Jeter from Woodward, Oklahoma, who recently passed away. He was a long-time, car owner, who helped countless drivers throughout the years. He will be greatly missed by many. Thoughts and prayers are sent out to his family and friends during this sad time. March 3rd, 2013 - Congratulations to Billy Griffin, who won the season opener at Perris Auto Speedway (Perris, California) with a last lap pass on Saturday night. February 25th, 2013 - The Brooks/Shaw Driving School has added additional dates for the 2013 season. On April 13th-14th County Line Raceway (Elm City, North Carolina) will host a school, while on June 21st-22nd Ogilvie Raceway (Ogilvie, Minnesota) was also be the site of a clinic. Visit www.BrooksShawDrivingSchool.com today to make your reservations! February 18th, 2013 - Ty Dillon powered his #41 Larry Shaw Race Car to one of the triple feature wins in the finale at Volusia Speedway Park (Barberville, Florida) on Tuesday evening. 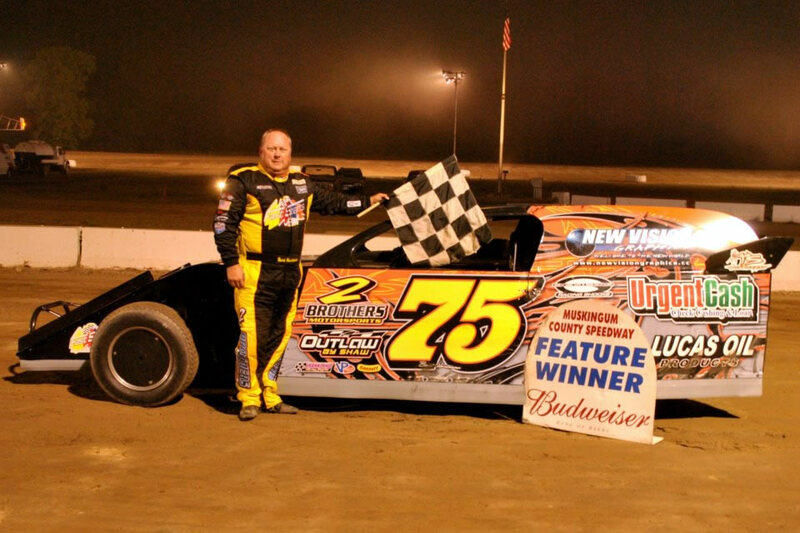 February 13th, 2013 - Larry Shaw Race Cars would like to congratulate Bart Hartman for powering his #75 Larry Shaw Race Car to the $1,500 feature win in the 37th Annual Winter Nationals at East Bay Raceway Park (Gibsonton, Florida) on Friday, February 8th. In the $5,000-to-win finale on February 9th Larry Shaw Race Cars customers, Buzzy Adams and Bart Hartman finished second and third respectively. Racers don't forget to Contact Us today to join our winning team.